When: All Year. Check below for dates & email for offers. 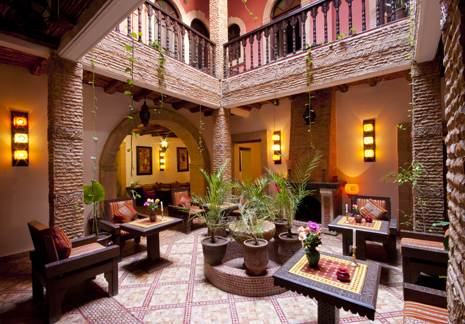 Your hotel is an authentic 18th Century Riad centrally located in the medina. 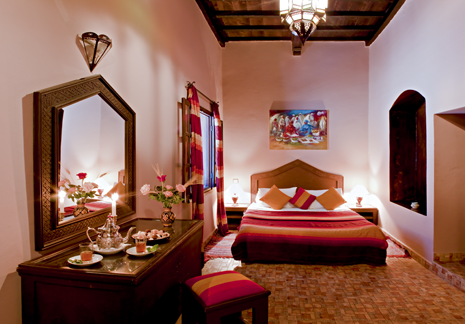 The rooms are en-suite tastefully decorated in the Moroccan style, often with a salon seating area within the room. Upstairs there's a roof terrace to take breakfast or relax in the afternoons. There are private areas downstairs for relaxing and dining with wifi available. The staff are extremely friendly and helpful which has help gain the hotel a certificate of excellence from Trip Advisor in 2013. The week is inclusive of private airport transfers, an en-suite room with breakfast and 25 hours tuition. 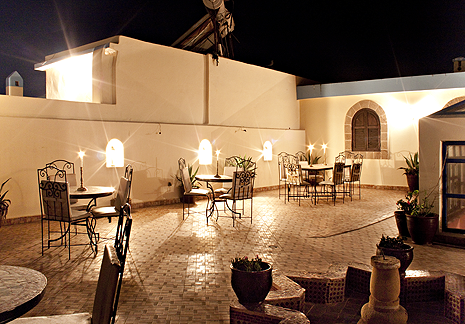 We reserve the best single rooms available at the Riad; on the 1st or 2nd floor at the back or more usually in a private room on the terrace. There is no single supplement. Our photography holidays are ably set-up for single women traveling alone; the Riad is renowned for it's superb service and evening dining is taken with the host. The week here also offers superb shopping opportunities and options to learn how to cook Moroccan cuisine, take some horse riding or quad biking lessons or relax in a Hammam. 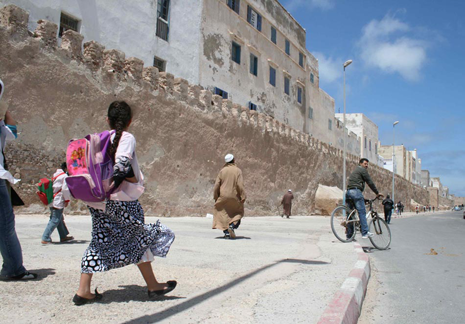 ~ Kate and Ross, Participants on the Essaouira holiday 2012/2015. If you don't have a DSLR, you can discuss buying a camera before you come out or if you need one for the course you can borrow one here and use the course to find out what you need. 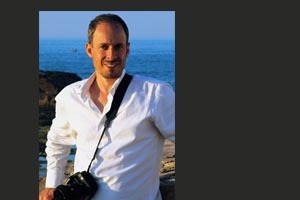 As part of the photography course in Morocco you will learn on the workshops: Understanding all your camera controls - Focusing, Exposure, ISO, shutter speed & aperture; using Depth of field. Our photography holidays for beginners also offer more seasoned photographers the chance to explore locations and photograph local people so we cater for every level and there's often a mix during the week. The emphasis is on getting the technical stuff right early on and then pursing different genres of photography throughout the week. It's a week's full immersion in taking photos with the aim of producing galleries of work. You can talk to us about buying a camera before you come out or we can loan you one and you can use the course to find out which one to buy when you get back. On the course you will learn: How to use the controls of your digital camera - Focusing, Exposure, ISO, shutter speed & aperture; using Depth of Field; the rules of composition; Developing a feel for light & situation; how to think more thematically & conceptually as well as learning to develop your own style. Everyday there is a different workshop for you to get your teeth into, focusing on a different genre. Over the week you'll have the chance to explore Abstract photography, Portraiture, Reportage, Landscape and Architectural genres of Photography and most days you'll have feedback on your photos meaning your skills will develop through the week. The maximum group size is 5 and but typically it's around 3 for the week. 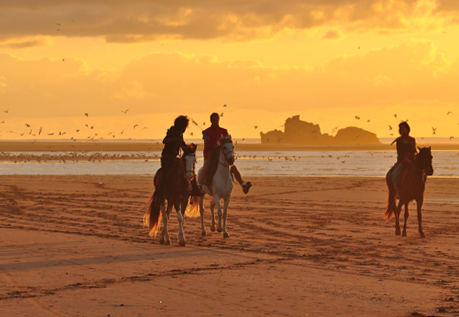 The holiday can also include many other activities such as Moroccan cooking, horse riding, quad biking, shopping, swimming. Just let us know once you're here and we can arrange these for you.f Field; the rules of composition; Developing a feel for light & situation; how to think more thematically & conceptually as well as finding out about what you like to photograph. There is a different workshop daily, each focusing on a different genre which helps tease out your interests. These also means you get to try genres you may not have explored before. 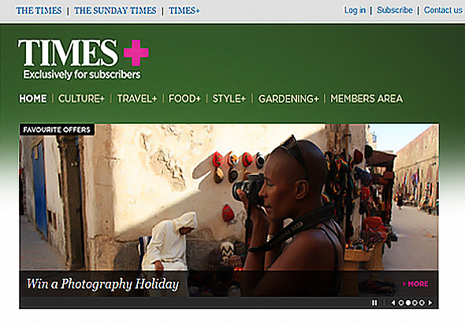 During the week you'll focus on Abstract, Portraiture, Reportage, Landscape and Architectural genres of Photography. The maximum group size is usually 4 and the courses can be tailored to suit all levels of experience.